Icertis and Microsoft are collaborating to deliver the latest insights and skills from technology leaders and practitioners that are shaping the future of enterprise contract management. Meet Icertis experts at booth 1825. Icertis is working closely with Microsoft to deliver an invitation-only event for business leaders with content and activities designed to enable forward-thinking, innovation that transforms enterprise contract management. Every commercial relationship of any company is governed by a contract. Corporate Vice President, Gavriella Schuster talks about the Icertis AI application for contract management. Icertis invites you to visit us at our Welcome Party during Microsoft Ignite & Envision on Monday, September 24th! Featuring the legendary live performances at BB King’s, come unwind with us over some great food and cocktails. Be sure to bring your colleagues for door prizes and raffles! RSVP today!! Eric Boyd, Corporate VP AI Platform, Microsoft. 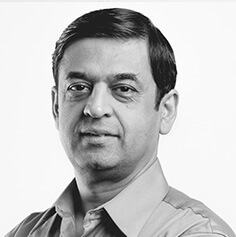 Amol Adgaonkar, Director of Business Strategy, Microsoft. Luis Cabrera-Cordon, Principal Program Manager, Microsoft.